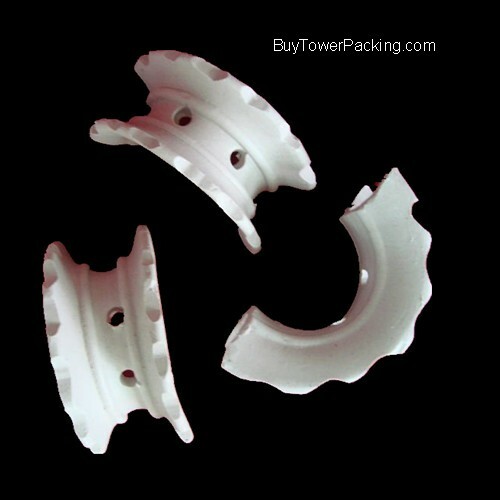 We supply a variety of tower packing material directly from the factory to our customer’s location. We deal in bulk orders, usually a minimum of one (1) 20 foot shipping container (approx. 26.16 cubic yards). We have available a variety of Tower Internals to meet your needs. Our factories are machined to build tower packing to your specifications using a variety of mediums, such as PVC, Plastics, Metals, and Ceramics. The ability to build your packing and internal material in a wide variety of sizes will ensure that we meet your specifications. Visit our sister company, buymolsieve.com for all of your Molecular Sieve and Ceramic Ball needs.